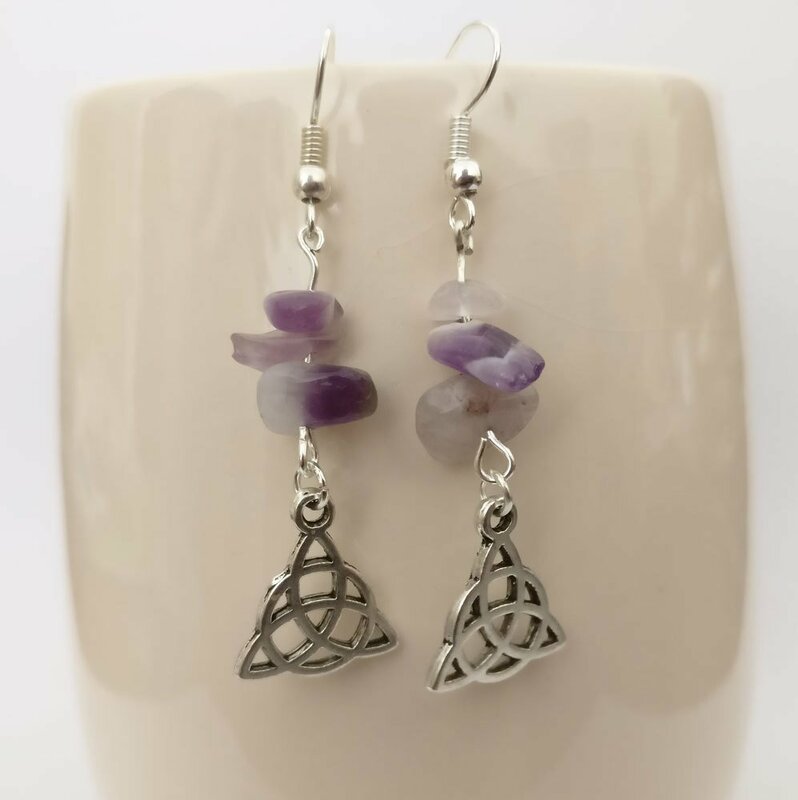 Amethyst gemstone chips and tibetan silver triquetra earrings with a hypo-allergenic surgical steel wire hooks. Tibetan Silver, a lead-free alternative to pewter, these earrings will not tarnish, and will stay looking like new for decades if cared for correctly. Amethyst: Calming, helps with spiritual matters, aids sleep, intuition.